FBN’s Jo Ling Kent on Alibaba’s ‘Singles Day’ sales numbers. Alibaba (NYSE:BABA) reported a record $9.3 billion dollars in sales on Singles Day in China, flexing its muscles to investors and smashing records on its busiest shopping day of the year. Some 278.5 million items were ordered on its platforms, including TMall and Taobao. That figure was seven times more than how much Amazon (NASDAQ:AMZN) sold on Cyber Monday in 2013. And 42.6% of all Alibaba purchases on Tuesday were completed on mobile devices. At the peak of the shopping day, 2.85 million transactions were processed per minute by Alipay. The "11.11 Shopping Festival," which started several years ago, resembles Black Friday or Cyber Monday. It began as a day when single Chinese consumers bought a gift for themselves or single friends, and some consider it their version of Valentine’s Day because of the four single digits in its date. In 2009, executive chairman Jack Ma and his team leveraged the idea into the biggest day for e-commerce globally and sold $7 million dollars worth of goods. Four years later, in 2013, sales totaled $5.8 billion. This year, more than 27,000 merchants participated, and consumers from more than 200 countries bought something on Alibaba. In fact, Chinese consumers spent more this Singles Day than Americans did last Thanksgiving, Black Friday and Cyber Monday combined, according to data collected by Adobe. Xiaomi, the world’s third largest smartphone maker, tweeted on Weibo that it sold more than 850,000 mobile phones in the first 14 hours. The top five sellers by gross merchandise volume at that point of the 24-hour shopping spree were Xiaomi, appliance maker Haier, Japanese clothing retailer Uniqlo, smartphone marker Huawei and Chinese furniture retailer Linshimuye, according to Alibaba. 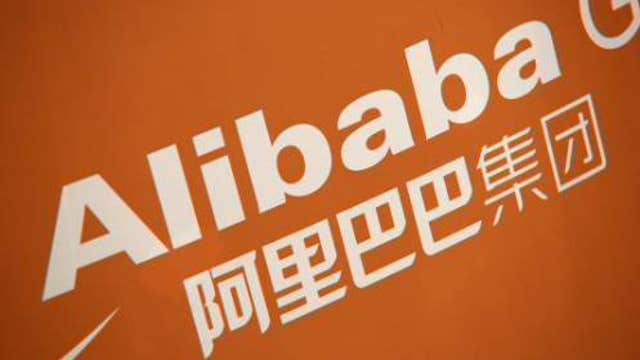 Ma also announced that the payment and financial services arm of Alibaba, known as Alipay, “will definitely go public.” He told Chinese Central Television he hopes it will list on a mainland Chinese exchange. The news comes less than eight weeks after Alibaba’s initial public offering, which was the largest in history. The Hangzhou-based company raised $25 billion on the New York Stock Exchange. Alibaba shares have experienced its second-worst trading day today, with some investors selling on the Singles Day news. It has dragged down several other Chinese e-commerce stocks with it, including JD and bookseller Dang Dang. However, Alibaba stock is up 20% for the month as of Monday’s close and has reached record highs in the previous six consecutive trading sessions.